The handmade slope presentation vase is curved modern design. 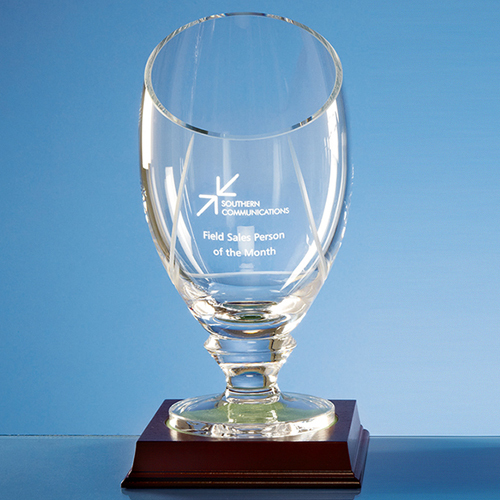 It has a large engraving area that can be personalised with any crest, logo or wording. It would be an ideal prize for sporting or business events. The slope presentation vase would also make a great personalised gift that will be displayed with pride at home or in the office. The wood base compliments the bowl and is perfect for display purposes. The price shown is for the bowl only and the base should be ordered separately.